If you are in Charleston, and you need a restoration company to come in and get the mess out, then you need the expertise of our disaster restoration Charleston experts with 911 Restoration Charleston today! Home restoration success and cost is completely dependent on our response time. We solemnly swear to be there on time, to be accountable, to be leaders, and to get you back on the track of a fresh start. The fresh start starts when you call us. Our crew members have over three decades with experience and training. You get the help of a team that gives you small business level of attention with nationwide resources to back them. The disaster restoration Charleston team will repair your home and start of mind. Call us for the second chance you need. Charleston, South Carolina, residents are very well acquainted with heavy rains that too often result in flashfloods, roof damage, ceiling leaks, and mold problems. This is why 911 Restoration Charleston has become IICRC certified as to better prepare for whatever restoration job you need. Some of the most common types of disaster damages we see is when a tree is blown or swept into someone’s yard. Tree removal is fickle job from splinters, bug living in the bark, and navigating the swamp it makes. These are just some reasons why you want someone like us to be there for you. When it comes to tree removal, the disaster restoration Charleston team is going to make everything better. After we remove the tree we will then begin the dryout process. Now, if you need it, then we will be happy to provide you a pack-out. This means we will wrap, package your personal belongings, and move them to our secure warehouse. The dryout can take anywhere from 3 to 7 days. A combination of dehumidifiers, blowers, and dryers are used to remove moisture and prevent mold. The disaster damage team can also replace sheetrock, or rebuild any structures that were destroyed . Call us for the fresh start that you need. Disasters restoration can come in many forms and types. Sometimes it might have occurred due to fire damage, sewage, or a small earthquake. Most of these disaster involve water in some way. 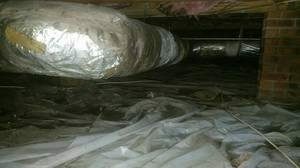 This is why our water damage expertise is important. You want a team on your side that is well versed in a lot of damage situations. Getting you on track with a brand new outlook on life is what we achieve. Sewage backup because of tree roots? We remove the tree. Patch the pipe, and dry the place the out. Fire left a smoky smell behind? You call us, and we will deodorize the place, so that it smells fresh. Flood from a pipe burst? Water extraction is what we are the best at. That is why you can call us if you face any of those issues. The fresh start you need for a happy and new life is just on the other side. We are going to fix your home and get you back on your feet faster than the other dudes. 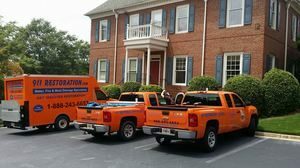 Call our disaster restoration Charleston team with 911 Restoration Charleston for all the resources and expertise that your home or office needs to get back on track today!